AirAsia X has announced it will axe a key trans-Tasman service, quitting the Tasman and disrupting the travel plans of thousands of booked customers. In an Orwellian touch, it has advised those affected to contact the airline’s “Customer Happiness” team. A spokesman said a “difficult” decision had been reached to realign the airline’s network to focus on core markets such as Australia, India, China and Japan. The Malaysia-based airline will stop flying between the Gold Coast and Auckland from 11 February 2019, in its second pullout from New Zealand in seven years. For booked consumers (about 2000 Kiwis are said to be affected, according the New Zealand Herald) “customer happiness” consists of four options: bringing the flight forward, re-routing, a credit or a full refund. 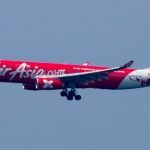 “AirAsia strongly encourages all guests to update their contact details at airasia.com to ensure that they are contactable for further assistance,” the airline stated in a press release. 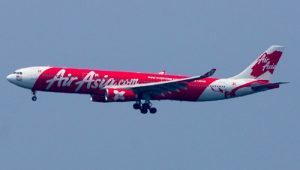 Before the full withdrawal, AirAsia X will scale back flying across the Tasman from daily to four times weekly from 29 January 2019 until it pulls out completely. Currently the service runs daily from Kuala Lumpur to Auckland, via the Gold Coast. AirAsia X has run promotions in New Zealand offering startlingly low fares, like Auckland to Hanoi from NZD 279 one-way. That’s about AUD 260. The airline began scheduled services to New Zealand in April 2011 with four-times weekly flights from Kuala Lumpur to Christchurch, but pulled out in May 2012 to focus on Asia and Australia.